In an Oscars ceremony marked by questions of representation and cultural politics (host Neil Patrick Harris quipped early on that this was “A night to honor Hollywood’s best and whitest”), there were no shortage of social issues at the forefront of this year’s Oscars ceremony. Long before the ceremony unfolded, actors and activists took to social media with their Oscars-related causes. Reese Witherspoon’s #AskHerMore campaign, which challenged red carpet reporters to pose substantive questions to women (rather than limiting their scope to makeup and wardrobe) to the Oscar viewing boycott initiated by lawyer and blogger April Reign, via her #OscarsSoWhite hashtag, owing to the dearth of nominees of color, the night was enhanced by its very real attention to social change. This emphasis was cemented by the well-deserved win of Crisis Hotline: Veterans Press One in the category of Best Short Documentary. Among the most politically charged moments of the evening, however, was Patricia Arquette’s powerful acceptance speech for Best Supporting Actress, awarded for her role in Boyhood. Prior to the announcement of Arquette’s win, her performance was highly praised by the backstage press, with more than one commentator noting the performer’s “bravery” for her willingness to be filmed over the course of 12 years of aging. Indeed, in a youth-obsessed, media-saturated culture, it is brave for a woman to reveal her aging process on film, and for an audience. It is a sad commentary on the status of women in Hollywood, and the cultural reality the fact of an aging woman is an assault on our ideals of beauty. I have not heard Ethan Hawke, Arquette’s costar in Boyhood, referred to as “brave” for showcasing his own aging process. Nor do I care to comment on how problematic it is that the fact of Arquette’s aging on camera eclipsed the strength of her performance in Richard Linklater’s highly acclaimed film. Instead, I want to talk about Arquette’s awards speech. Although the actress looked stunning as she took the stage, and her Oscar win represented the culmination of more than a decade’s worth of dedicated labor, neither appearance nor performance were at the forefront of our minds last night. Instead, the real win was in Arquette’s rallying call for gender equity in wage distribution. In her tremendous (though flawed) acceptance speech, Arquette cried out “It’s our time to have wage equality once and for all!” to the riotous applause of the audience. As she cried out for equal pay, the audience resounded, and a camera panned on Meryl Streep and Jennifer Lopez, both thunderously cheering from their adjacent seats in the audience. The cynical among us might question the weight of such a gesture. While wage equality—and the project of feminism—is obviously near to Patricia Arquette’s heart, one could argue that the Oscars are an awards ceremony and have limited bearing on social change. On the contrary, this type of statement, rendered by someone in the public eye, brings this much-needed message into the spotlight. As an award-winning, internationally recognized film and television actress, Patricia Arquette has no immediate need to occupy herself with wage equality. Last night, Arquette characterized Boyhood as a film “about everyday people you don’t always see in movies.” In her rally for gender equity, Arquette put everyday people—and the critical issue of women’s rights—at the center. 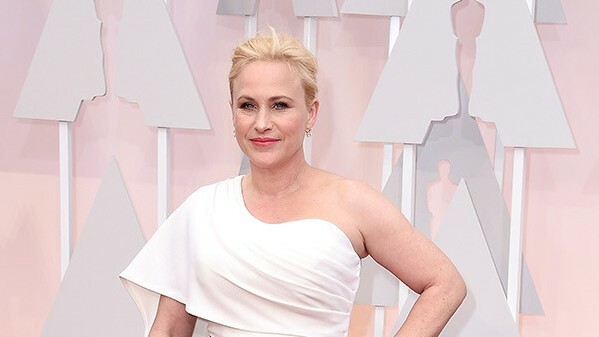 The Twitterverse erupted with applause in response to Patricia Arquette, and with good reason. Equal pay is something we all need to be thinking about, talking about, and fighting for with passion, and vigor—not just on Oscars night, but until there’s no longer a reason to fight.